So, I've been on this kick lately. I'm finishing up the sewing room, and I wanted some very "Olivia" artwork for it. I came upon three different Etsy sellers whom I not only love their artwork, but they happen to be the most kind, helpful, and creative people! I'll be sharing the three sellers that I bought from and the pieces I bought over the next few weeks. 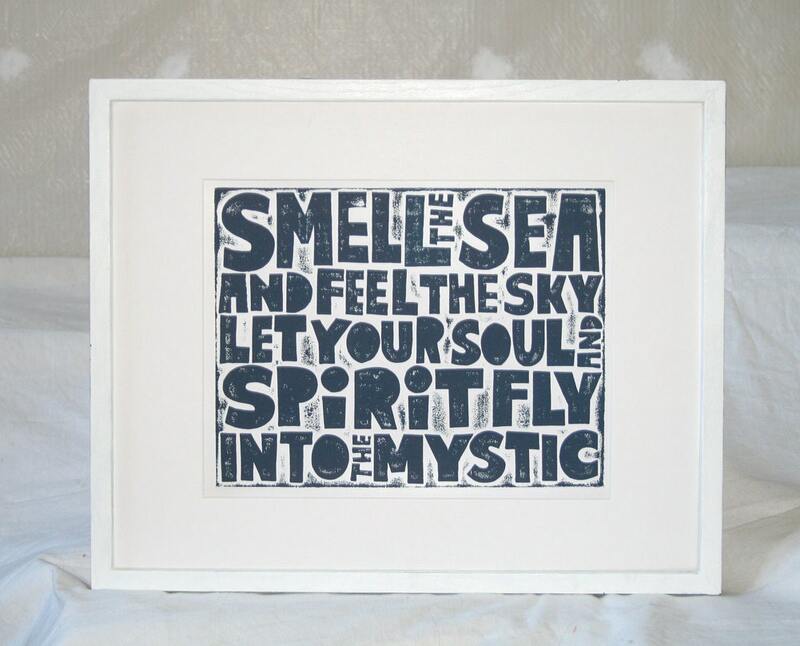 Today's Artwork in Which I Bought comes from Colette over at Raw Art Letter Press (we've actually featured her before!) I love all of her original prints, as well as her jewelry. On top of all that, she's a doll to work with and even did a custom color for me. I cannot wait to get these in the mail! I'm totally, totally going to be buying more prints from Raw Art, as they would make the perfect gift for Father's Day, birthdays, anniversaries, etc. 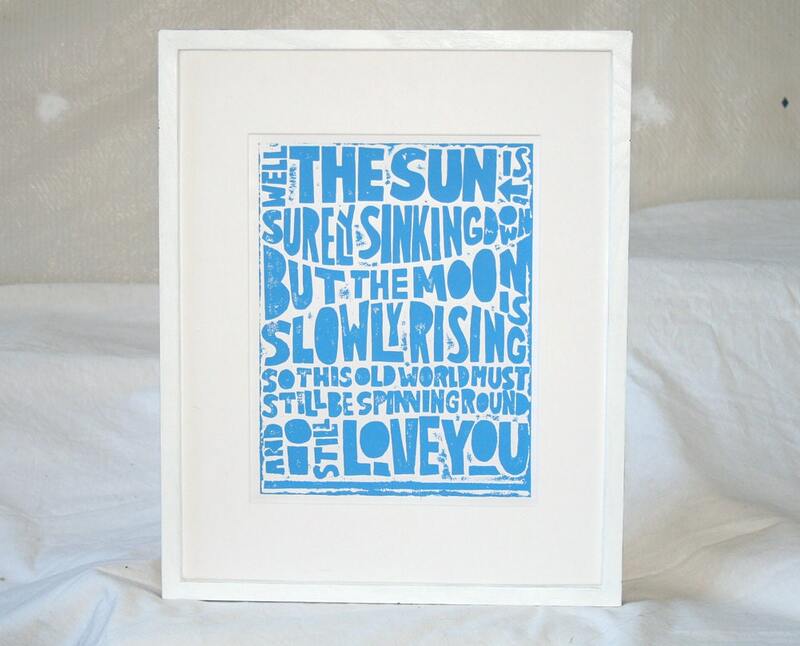 I am a huge James Taylor fan and this print, this exact lyric actually, is one of my all-time favorites. Have you ever listened to "You Can Close Your Eyes?" It's the sweetest lullaby. oh, and that video. to die for.